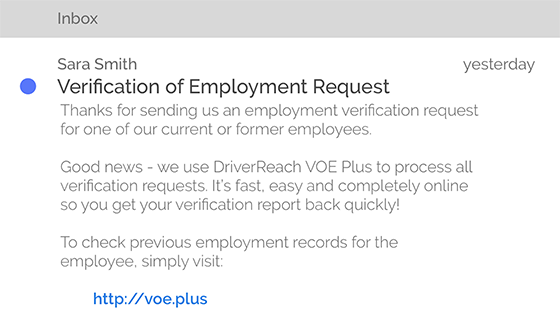 With VOE Plus, you can verify employment history in minutes…not weeks. 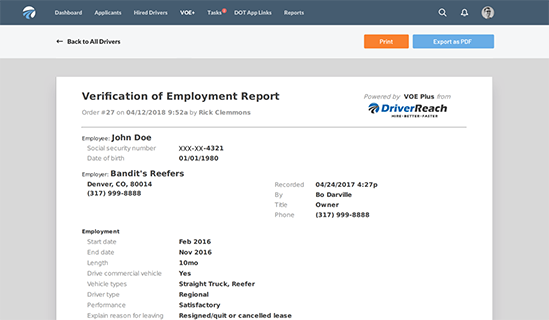 VOE Plus is a secure database of CDL driver previous employment records. Tired of chasing down records? VOE Plus saves you time. Nothing slows down your speed-to-hire like the employment verification process. 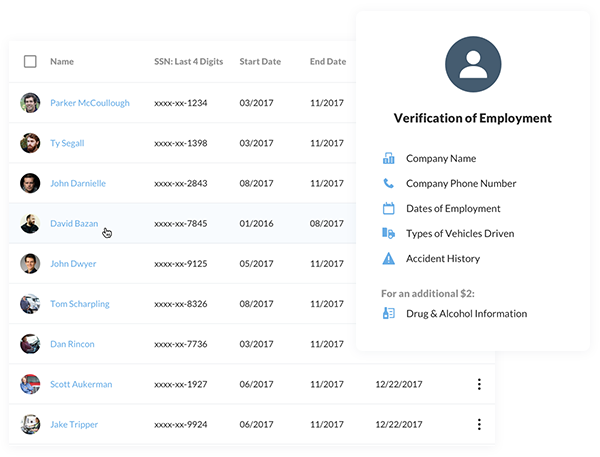 Instead of using archaic solutions and waiting for responses from previous employers, recruiters using VOE Plus can find complete driver records in a few clicks. 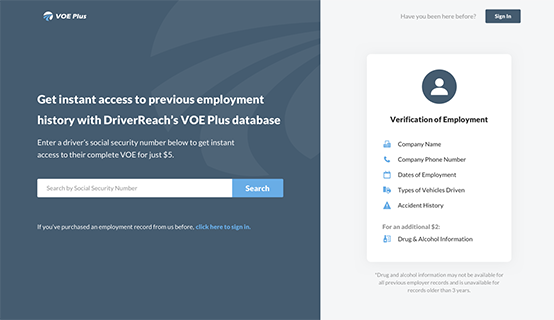 With VOE Plus you can easily search for a driver using their Social Security Number. When you access the record, you will have the ability to print the report or store it as a .pdf in your DriverReach account. When other recruiters reach out to verify employment history, responding is clunky and time-consuming. 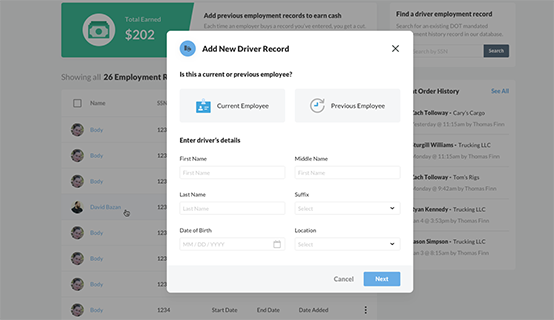 With VOE Plus, you’ll fill out a driver record once and then never have to touch it again. Even better, you get paid each time a prospective employer purchases your records. 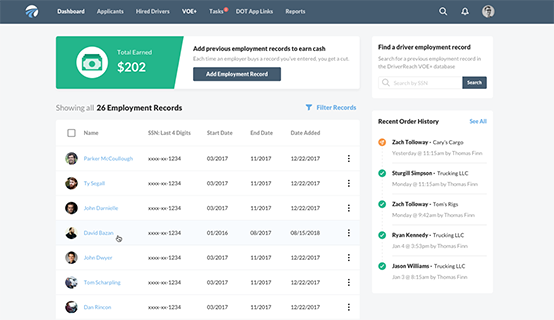 Entering a driver's employment record, either previous or current, will populate the VOE Plus database. Use the available email and fax templates to redirect previous employment inquiries to VOE Plus. Generate cash while saving everyone time in an otherwise painstaking process. Win-Win-Win. Learn more about VOE Plus.